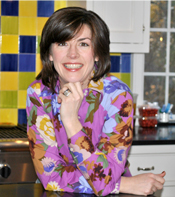 I have, for the last few years, been a faithful Ina Garten Outrageous Brownie girl. The Barefoot Contessa Brownies are easy to make, fabulous to eat and make enough to feed an army-all huge selling points for me. So, it was not easy for me to contemplate another brownie. I mean, why? Just give me one good reason. Okay, Cook’s Illustrated-which I love with a passion and more importantly, trust- just published a piece on-line about chewy brownies. 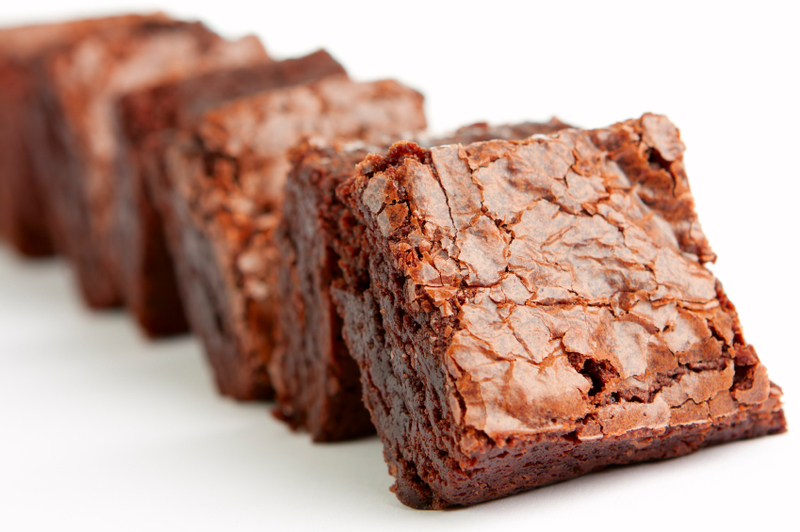 Their recipe for “the best” chewy brownies came with an article that explained the method behind their madness. Well, okay, I was hooked. I had to try it. I read the recipe before diving in and was immediately intrigued by the unorthodox pan preparation, the combination of different chocolates and the lack of leavening agent. This recipe test would be fun. I did immediately tweak it though- the original recipe calls for 1.5 teaspoons of instant espresso. I thought that that would be too much coffee for my guys and substituted 1 teaspoon of regular instant coffee instead. Other than that, I made it as directed. The brownies came out of the oven- they smelled divine. The kids were already circling. I shooed them away. These brownies called for a 2.5 hour cooling time. I was sticking with the recipe all the way to the bitter end. Just after dinner, we cut into the chocolate sheet before us. As I lifted out the first corner square, a bit of molten chocolate oozed out. These looked very promising. Sorry Ina, I think there’s a new brownie recipe in my kitchen now! Cook’s Note: If you don’t already subscribe to Cook’s Illustrated, I heartily recommend it and think it is a must read. I find every issue to be informative about cooking techniques and tricks of the trade as well as filled with delicious recipes! 1. Adjust rack to the lowest position and heat oven to 350. Create a foil sling for the brownies and pan as follows: Cut and 18 inch length of foil and fold lengthwise to 8 inch width. Fit foil into the length of a 13×9 inch baking pan, pushing it into the corners and up the sides of the pan; allow excess to overhang pan edges. Cut 14 inch length of foil and fit into the width of the pan in the same manner, perpendicular to the first sheet. Spray with non-stick cooking spray. 2. Whisk cocoa, coffee and boiling water together in a large bowl until smooth. Add unsweetened chocolate and whisk until chocolate is melted. Whisk in the melted butter and oil. (Mixture may look curdled.) Add eggs, yolks, and vanilla and continue whisking until smooth and homogenous. Whisk in sugar until fully incorporated. Add flour and salt and, using a rubber spatula, mix until combined. Fold in bittersweet chocolate pieces. 3. Scrape the batter into the prepared pan and bake until a toothpick inserted in the center comes out with just a few moist crumbs, 30-35 minutes. Transfer pan to a wire rack to cool for 1.5 hours. 4. Using foil overhang, lift brownies from pan. Return brownies to wire rack and let cool completely, about 1 hour. Cut into squares and serve or store covered for up to four days. This entry was written by Caroline, posted on October 14, 2010 at 6:41 pm, filed under baking, comfort food, desserts, entertaining, kid friendly. Bookmark the permalink. Follow any comments here with the RSS feed for this post. Post a comment or leave a trackback: Trackback URL. Thanks Maureen! Let me know what you think when you try something! I love to hear people’s takes and tweaks!